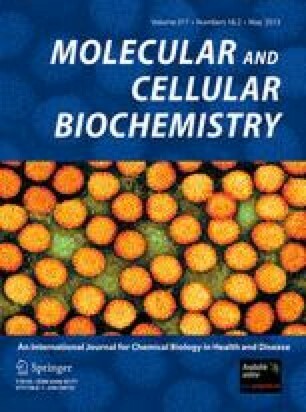 Tumor necrosis factor receptor-associated factor 6 (TRAF6), which plays an important role in inflammation and immune response, is an essential adaptor protein for the NF-κB (nuclear factor κB) signaling pathway. Recent studies have shown that TRAF6 played an important role in tumorigenesis and invasion by suppressing NF-κB activation. However, up to now, the biologic role of TRAF6 in glioma has still remained unknown. To address the expression of TRAF6 in glioma cells, four glioma cell lines (U251, U-87MG, LN-18, and U373) and a non-cancerous human glial cell line SVG p12 were used to explore the protein expression of TRAF6 by Western blot. Our results indicated that TRAF6 expression was upregulated in human glioma cell lines, especially in metastatic cell lines. To investigate the role of TRAF6 in cell proliferation, apoptosis, invasion, and migration of glioma, we generated human glioma U-87MG cell lines in which TRAF6 was either overexpressed or depleted. Subsequently, the effects of TRAF6 on cell viability, cell cycle distribution, apoptosis, invasion, and migration in U-87MG cells were determined with 3-(4,5-dimethylthiazol-2-yl) 2,5-diphenyl tetrazolium bromide (MTT) assay, flow cytometry analysis, transwell invasion assay, and wound-healing assay. The results showed that knockdown of TRAF6 could decrease cell viability, suppress cell proliferation, invasion and migration, and promote cell apoptosis, whereas overexpression of TRAF6 displayed the opposite effects. In addition, the effects of TRAF6 on the expression of phosphor-NF-κB (p-p65), cyclin D1, caspase 3, and MMP-9 were also probed. Knockdown of TRAF6 could lower the expression of p-p65, cyclin D1, and MMP-9, and raise the expression of caspase 3. All these results suggested that TRAF6 might be involved in the potentiation of growth, proliferation, invasion, and migration of U-87MG cell, as well as inhibition of apoptosis of U-87MG cell by abrogating activation of NF-κB. An erratum to this article is available at http://dx.doi.org/10.1007/s11010-016-2682-5. The Editor-in-Chief retracts this article as per the Committee on Publication Ethics (COPE) guidelines on plagiarism. After a thorough investigation, it was found that there is a striking level of similarity in the layout and content of this paper with another publication (Tumor Biology (2013) 34:231-239; doi:10.1007/s13277-012-0543-8). It is also pointed out that the authors have failed to the authors have failed to respond to these similarity issues, first brought to their attention in 2015.